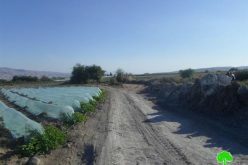 On the 2nd of August 2016, the Israeli Civil Administration escorted by the Israeli Army stormed the Palestinian town of Qusra, south of Nablus city, and handed out military orders to demolish two agricultural water wells and to evacuate more than 50 dunums of Palestinian lands planted with 50 olive trees and used for the construction of 5 water wells and agricultural rooms…. 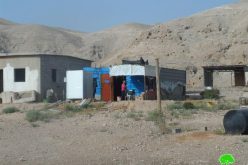 The demolition orders, claimed that the targeted water wells built without permits from the Israeli Authorities, and for that, the demolition orders gave the owners of the water wells 7 days to demolish the targeted wells or to get the building permits form the Israeli Civil Administration. 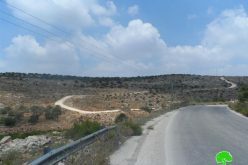 While the evacuation order claimed that the targeted land which used to construct the 5 water wells and rooms, classified by the Israeli Authorities as “State land”. The order gave the owners 45 days to demolish all the structures build in the targeted land. 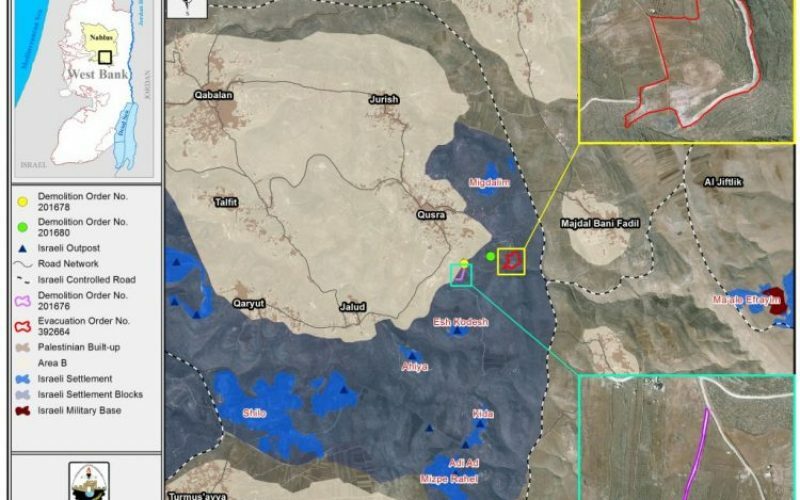 An analysis done by the Geo-Informatics department in the Applied Research Institute- Jerusalem (ARIJ), showed that the targeted land and water wells located in area classified as “Area C” (according to Oslo agreement, 1995), which it under the control of the Israeli Occupation Authorities. 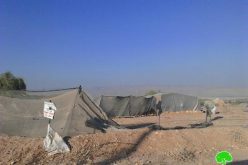 In the area “C” the Israeli Authorities used to prevent the Palestinians from building their houses or any other structures they needs, without getting the permits from the Israeli Civil Administration. 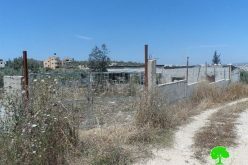 As a matter of fact the process of issuing building permits from the “Israeli Civil Administration” is sophisticated, and costs a lot of time and money where most of the Palestinian requests for issuing such permits are most often rejected. 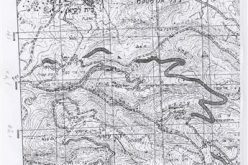 Furthermore, the analysis showed that the targeted lands (about 53.4 dunums ) are not classified as “State land” as the Evacuation order claimed. 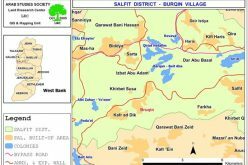 Moreover, the targeted land and structures located within the “ Israeli “corridor of Shilo” which includes a number of illegal Israeli settlements and outposts, military bases and Israeli road network, and also, part of Palestinian towns and villages, where hundreds of Palestinian lives ….